i have heard that this has been done by someone, but never actually seen it, have anyone heard that there would be a M10 swap done for 924? I'm not sure about the m10 4cyl, but I want to do a m20 2.5l swap. I'm not sure if it would fit with an extra 2 cylinders. They are both slanted engines but the intake sticks up prety high. Stock it only puts out 160hp, 50 more than the 2.0 n/a. Might be worth it though, I hate k-jet... EFI is the way to go! I read the thread and didnt see a inline 6... but still a good read on a 924 turbo s build. Im not interested in the 2.5l 944 engine. I have seen a thread on here about an il6 VW bus engine that you may be talking about, that engine is a 2.0 i think. honestly, the 924 engine is a VW bus engine, under powered trash... no offense guys, why settle with 250 hp. Honestly iv been looking into the BMW M50 engine. Its a 3.5l inline six with DOHC, with turbo puts out twice the power. Nissan has had great success with il6 3l DOHC turbo engines i.e. the RB30DET, ect..
What do you want to do with the car? Go to the moon? What do you think you're going to do with all that power under your right foot? 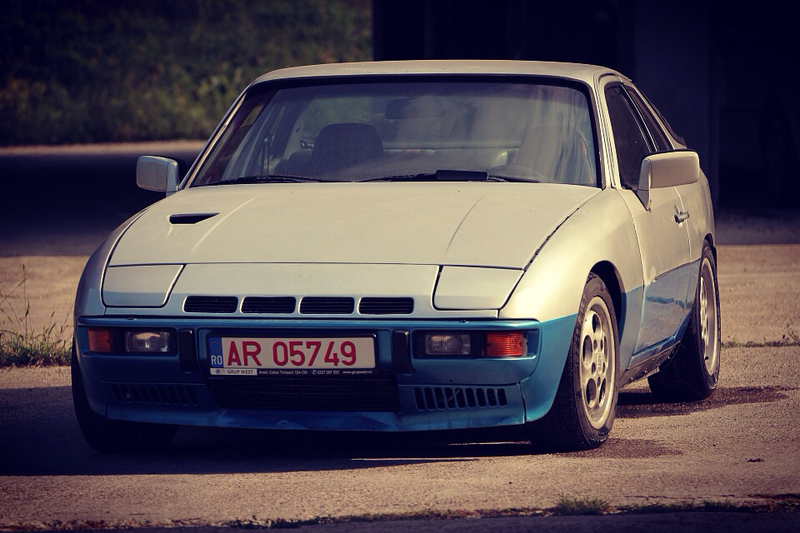 The 924 is a roughly 1 ton car and with that power its so fast that you need serious brakes...so unless you do serious racing...you're wasting everybody's time daydreaming of burnin rubber on your 924. Since you're in the 924 business i'm guessing you're as poor as they come (no offence..ok maybe some) And if you add that 3.5L whatever make and whatever power engine to your 924...what then? will you afford the gas it eats? the maintainance is CLEARLY MUCH MORE on whatever non vw underpower trash engine you want to talk about. If you want 500HP, buy a 500HP car and be done with it...dont be poor and have poor judgement wasting your time and money, and crapping on at least two great machines(924 and donor car) while doing that. I linked the wrong thread. You don't need big power to make these cars fast and fun to drive. nickthompson, I have read that thread a few times once for notes and once for fun. Andrew NZ, I mentioned the nissan motor because its an inline 6 that is a proven powerhouse. I understand that it would be big and heavy. We are thinking about the BMW M10 and M20 engine because they are slanted engines like the 924 engine. the BMW engine has a pretty good aftermarket as well. It's probably my build (VW inline 6) that's being referred to. It's a 2.4 engine, not a 2.0, but I guess it doesn't make much difference, if you are looking for a 3.5 engine with 500 HP. Seriously, if you are looking for that much horsepower, find another car, unless you are willing to spent maybe 1000 hours of work on the car and lots of $$$$. Everything needs modification. I have done my 6 cylinder swap, since I'm looking for a smooth running engine with a pleasant sound. If the car handles and feel great with this engine, yes, then the engine will be modified to gain HP. I didn't want to spend time building EFI/Turbo on this engine, if a straight six engine in the car is a crazy idea. With the carburettor on the engine, I can go on the road and draw conclusions from there. You can always gain hp from a 6 cyl engine, but you can never make a 4 cylinder run and sound like a 6 cyl. An M42 would probably be just as easy and E36 318 Is are super common and cheap. Most have high mileage but pelican has everything needed to rebuild one including oversized pistons. This is a move I've been considering lately. The increasing difficulty in locating parts for the 2.0 and the fact the 1.8 starts off with 21 more hp there have been worse ideas bounced around in here.